A few weeks ago I discussed the value and importance of training alone, but solo training is only one part of the bigger picture. There are very good reasons why you should always make the effort to train with other people. Practicing a movement many times increases our ability to perform that movement, but only training with a partner can develop our ability to know when to apply it. Paired and group training teaches us to spot the little telegraphs or behavior patterns that indicate an attack is imminent. We can develop our striking power on our own, but to properly develop our evasive tactics and to learn ‘when’ to move and how to recognize the stimuli we need lots of paired training, and the more people we train with the better we become. 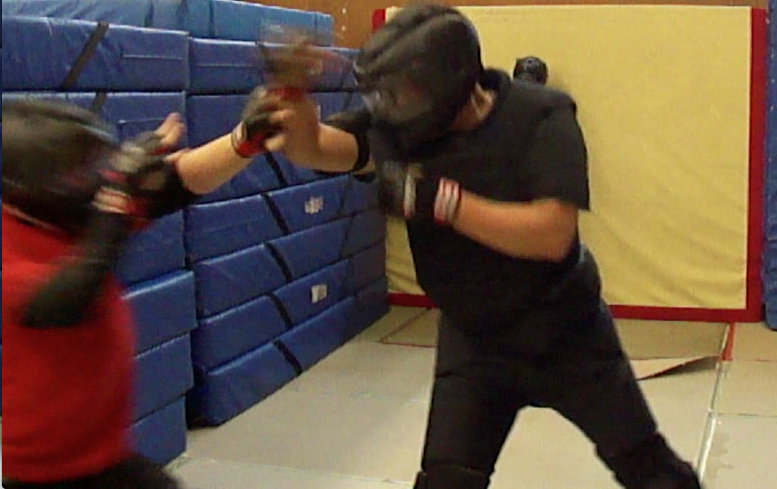 Impact work is an essential part of training any repertoire that involves striking, even if that striking is only a redundancy or distraction element for control or holding techniques. The bag, the makiwara, the speed ball and the wooden man are all excellent tools that can be used for power development in solo training, but they do not teach or train the ability to apply that power in a dynamic context. 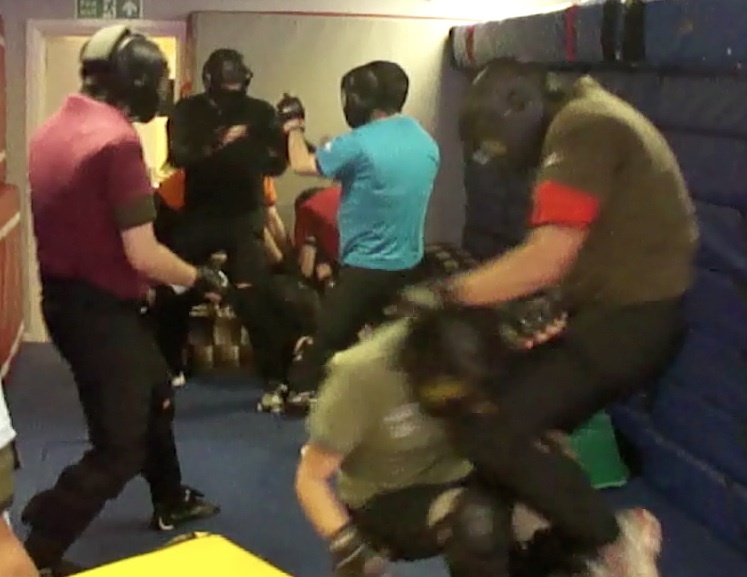 Training with a partner holding focus mitts, thai pads and kick shields is invaluable in teaching and training to gain the right distance and angle to apply power to a moving and reacting target. It is one thing to hit another pad, it is something else to hit a person, or even to be hit by another person. I discuss both in earlier blog posts here and here. There is no substitute for this in training. It does not have to be heavy, it should not cause injuries, and it should be appropriate to the age, ability and health and fitness (both physical and mental) of the individuals concerned. No plan survives contact with the enemy. Working against resistance is essential for learning and applying the nuances that make techniques, especially tactile techniques, work. 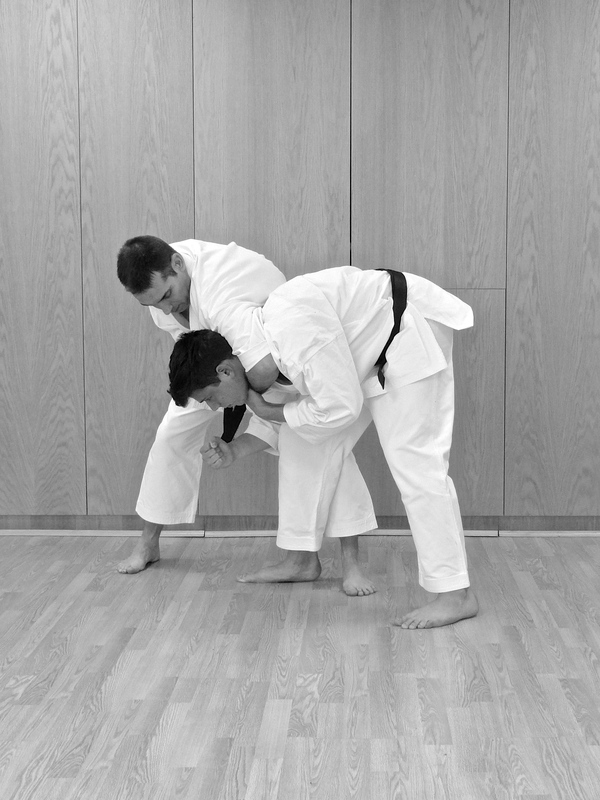 Anyone can apply a technique against a static non resisting weaker person, but it takes practice (and the practice with lots of different people of different heights, strengths, limb size ratios and flexibility) to be able to do so with minimal risk. There is no substitute for paired practice. 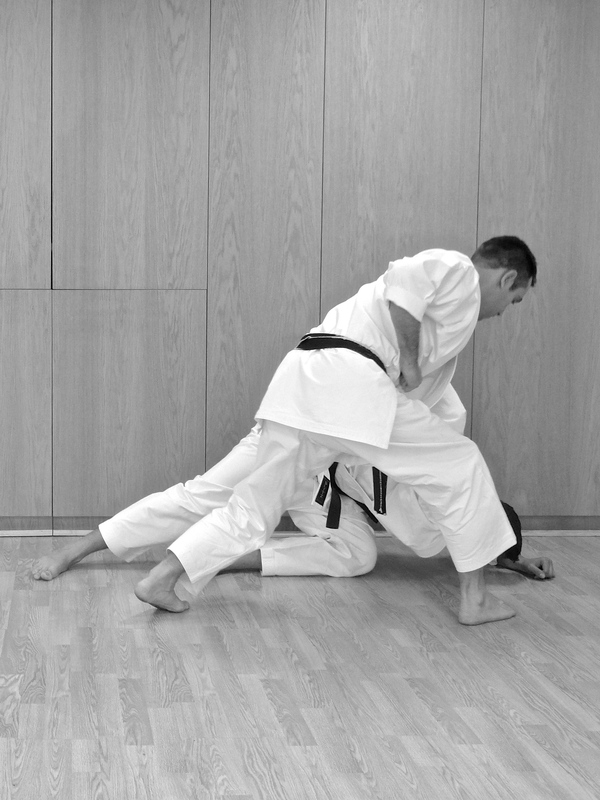 Tactile sensitivity is an important attribute for effective grappling, controlling, holding or close quarter striking. It is an attribute that can only come from paired practice, and the more the better. To those unfamiliar with close quarter training this is not a matter of skin sensitivity, but a sensitivity of touch or pressure that can be felt through clothing. We are all prey to our own judgement. Training with other people presents us with two important opportunities. Firstly it gives us the opportunity to be observed and critiqued by others and it doesn’t matter whether that feedback is right or wrong because what it does is force us to examine what we do from an alternative perspective. Secondly it also gives us the opportunity to be asked questions by other people that answering may lead us to look at the way we approach things from previously unconsidered angles. Both of these are invaluable tools to help shape our training. So the next time you get home later than normal, feel more drained than than usual, and say to yourself that you’ll ‘skip this one’ or ‘make it up with a little bit of solo work’ – if you aren’t actually ill, pick up the kit bag and head out to that class. You’ll be a better person for it.